First, olive oil provided fuel for seven lamps which set on the golden Lampstand in the Tent of Meeting, Holy of Holies (Exodus 40:1 – 5). One lamp set on each of the seven branches of the Lampstand. The Bible does not identify the material used in the construction of the seven lamps. Some authors identified the material as gold – the same substance used in the crafting of the Lampstand. Other authors suggested that the material was a type of clay used in pottery. Small pottery lamps were found at ancient Israeli archeological sites around the time of the Exodus. The lamps were open rimmed in contrast to later New Testament lamps which had a central hole into which olive oil was poured and a short spout which contained the lamp wick. In the open bowl-type lamp, one side was pinched narrow into a spout like protrusion. The wick extended from the spout side of the lamp. 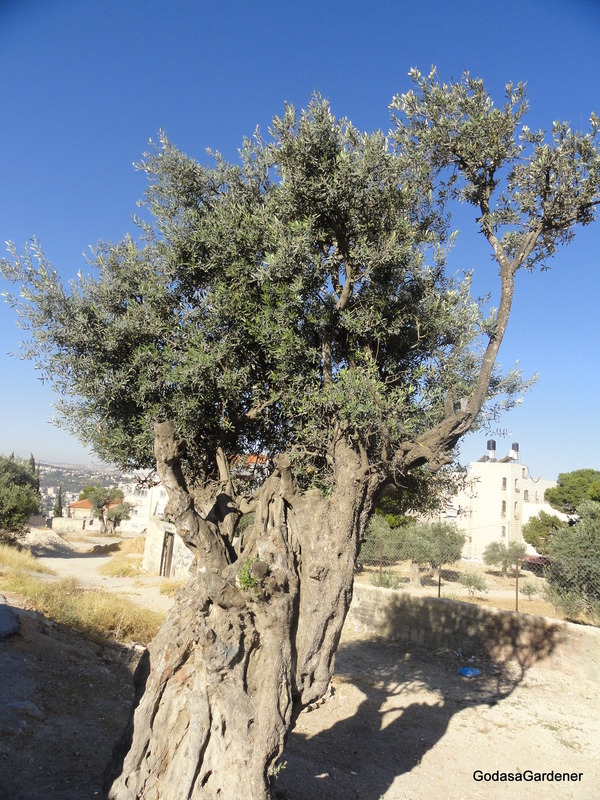 God told Moses to have the Israelites bring clear oil of pressed olives for the Lampstand lamps (Exodus 27:20-21). The high priest, Aaron, was to tend the lamps so that they burned continually before the Lord from evening until morning. 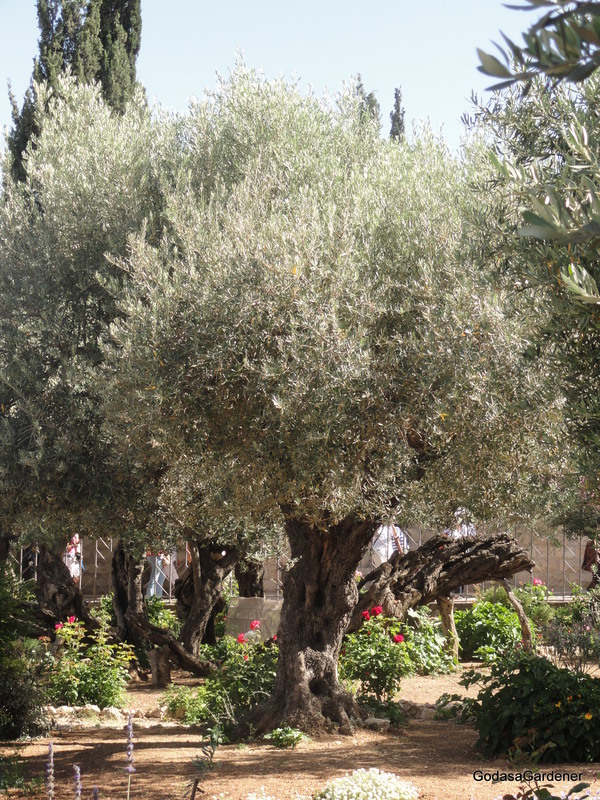 This entry was posted in Plants in The Tabernacle and tagged Bible, Bible Garden, Bible Plants, Bible Study, Christian walk, christianity, God, God as a Gardener, Israelites, Moses, nature, Olea europaea, olive light, olive press, Olive Tree, olives, plants, Sinai Peninsula, Spiritualism, Tabernacle. Bookmark the permalink. Many thanks for your beautiful and informative blog. I was picturing how much work it was back then, to produce olive oil in sufficient quantities for all their needs. That shows how important it was. … a lot more effort than running down to Kroger!